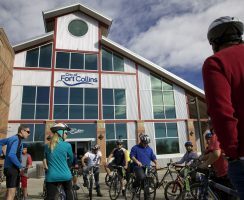 Last year, the City of Fort Collins, Colorado, reached what might be considered the mecca of an organization’s journey to excellence: It earned the Malcolm Baldrige National Quality Award. The Baldrige Award is the nation’s highest (and only presidential) distinction for U.S. businesses and other organizations that demonstrate excellent practices and results across all key areas of performance. As described in April 2018, City of Fort Collins City Manager Darin Atteberry officially accepted his organization’s Baldrige Award at a ceremony this past April. The following day, he and other leaders began presenting extensively on their organization’s processes and results. For other government organizations that may be considering a systematic improvement effort, I’ll next describe the assessment tool and process that the City of Fort Collins has used to improve and excel, as well as highlight leadership practices that Atteberry presented to a national audience this spring. Baldrige Award applicants in every sector of the U.S. economy—including government and other nonprofit organizations—voluntarily take part in a rigorous evaluation process based on the Baldrige Criteria for Performance Excellence (an assessment tool that is part of the sector-specific Baldrige Excellence Framework booklets). The seven categories of performance of the Baldrige Criteria are Leadership; Strategy; Customers; Knowledge Management; Workforce; Operations and Results. As national role models, Baldrige Award recipients publicly share information about their practices to help other U.S. organizations improve their performance. Therefore, Fort Collins city leaders, like other 2017 Baldrige Award recipients, hold “sharing days” at their sites. In addition, they present on their organization’s practices in all Baldrige categories at the annual Quest for Excellence® conference, held in or near Washington, D.C. each spring. The annual conference, like the Baldrige Award process, is managed by the federal Baldrige Performance Excellence Program, a small unit of the U.S. Commerce Department’s National Institute of Standards and Technology (NIST). As Atteberry stated at this year’s Quest conference, his city has a current population of about 170,000 and expects to grow to 250,000 in the years ahead. The fourth-largest city in Colorado, Fort Collins is approximately an hour’s drive north of Denver, in the foothills of the Rocky Mountains. Atteberry also called Fort Collins “a college town,” housing 30,000 Colorado State University students and 6,000 faculty and staff members on campus. The city holds approximately $3 billion in assets, including roads, buses, parks and government facilities. The city’s 2,400 employees provide typical municipal services such as parks and recreation, roads, transit and police services. They also provide the four major utilities of water, wastewater, storm water, and electric power and have been adding high-speed broadband service to provide all households and businesses with Internet access. Atteberry stressed that Fort Collins has a legacy of great relationships among residents and the local government. As described in January 2017, the community has repeatedly supported the city’s plans for enhancing facilities or enduring economic downturns. Among key leadership practices, Atteberry emphasized his team’s focus on culture and strategy to achieve desired results. The organizational culture, he made clear, is rooted in its stated mission (“to provide world-class municipal services through operational excellence and a culture of innovation”) and vision (“exceptional service for an exceptional community”). Over the past decade, the City of Fort Collins leadership has transitioned from what Atteberry called a “ʿtrust us’ kind of government” to one that is “data-driven.” This change is rooted in systematic processes for measuring the government’s performance and publicly sharing results. Atteberry has credited the Baldrige Criteria for helping city leaders move to fact-based management and fuller transparency. (Management by fact and ethics and transparency are among 11 core principles and values of the Baldrige Criteria). Author: Christine Schaefer, a staff member of the federal Baldrige Performance Excellence Program, leads the team that manages publications, communications, the Baldrige Award process and other assessments, and training. She has a bachelor’s degree from the University of Virginia in political and social thought and a master’s degree from Georgetown University, where her studies focused on public policy issues.